A fresh graduate drowned while another teen is feared dead after they went swimming at a beach in Barangay Maura in Aparri, Cagayan on Saturday. 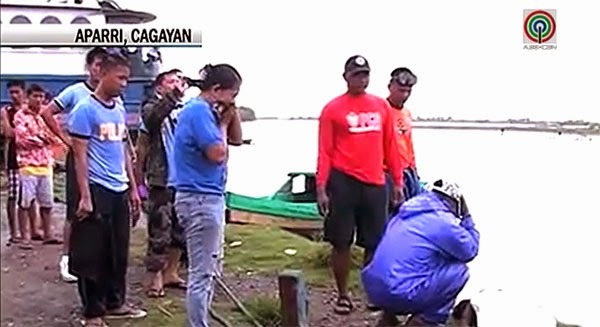 A joint search team from the Philippine Coast Guard Maritime Group and Philippine National Police (PNP) found the lifeless body of Joseph Mabbagu, 16, at the foremost part of Cagayan River on Easter Sunday. He graduated from high school just recently. Search operations continued for another teenager, identified in reports as Ralph Lesever or Raphles Domingo, 17. Initial investigation showed that the two were swimming with one of their teachers amid a threat from Typhoon Chedeng's onslaught when the tragic incident took place last April 4, Black Saturday. The teacher, Leo Sebo, reportedly tried to rescue the victims but failed.